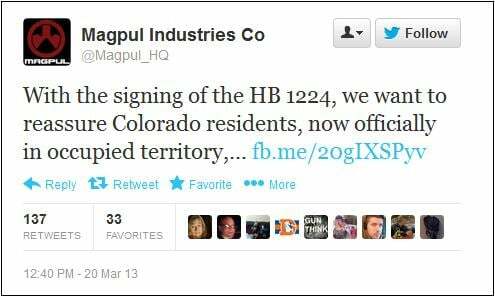 Ammunition magazine manufacturer Magpul announced this week it will move forward with its plans to leave “occupied” Colorado after Democratic Gov. John Hickenlooper signed new gun control laws. The Colorado manufacturer says locations have been selected and the company will produce its first magazine outside Colorado within 30 days. 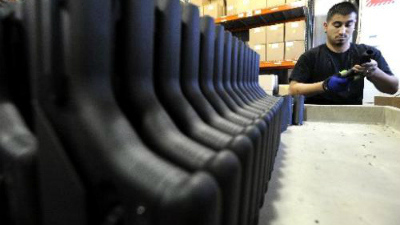 Ammunition magazine manufacturer Magpul Industries said it plans to begin leaving Colorado “almost immediately,” and other firms may follow suit in the wake of a new law that limits ammunition magazine capacities. One of three gun-control bills signed Wednesday by Gov. John Hickenlooper prohibits the sale of gun magazines that hold more than 15 rounds. Erie-based Magpul, with about 200 workers, is the largest Colorado company that potentially would be affected by the bill. The firm’s departure could have a ripple effect on companies that supply parts and materials to Magpul.